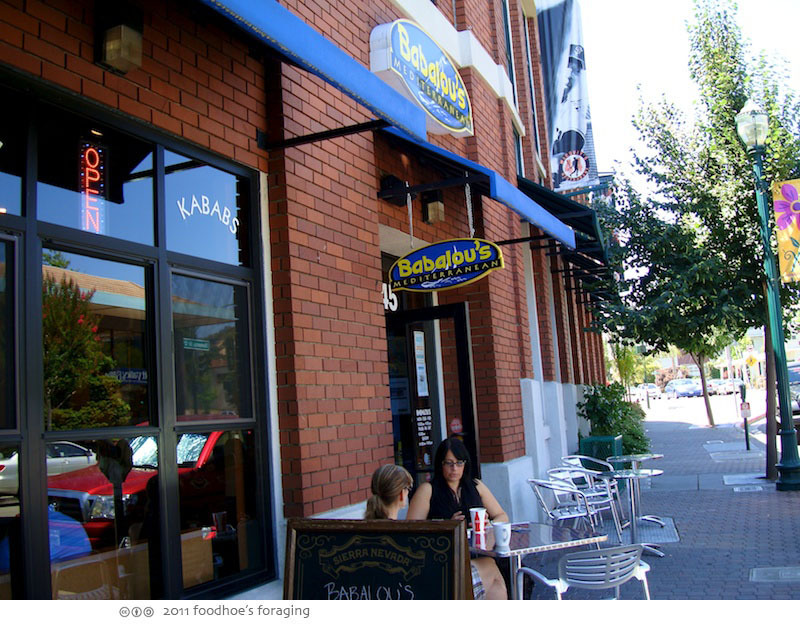 It’s a lively casual restaurant where you place your order at the counter and they bring the food to the table. 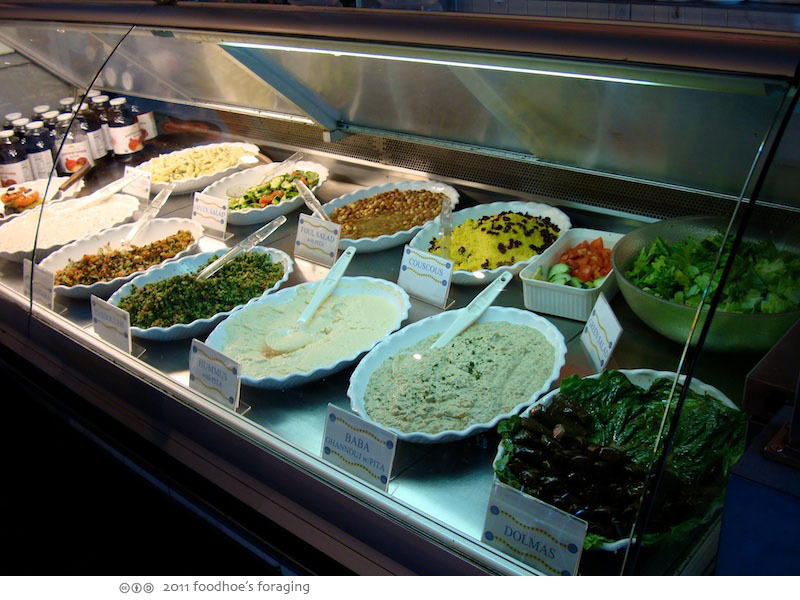 The counter displays a mesmerizing variety of platters filled with enticing salads such as tabbouleh, hummus, fool (fava and garbanzo beans marinated with lemon, parsley, garlic and dressing) and more. It’s impossible to decide… The website has a very good online menu (click here) with pictures which is an excellent reference. You can order a Kabab Combo Platter ($10.95) which is served in a wrap or over rice, with your choice of two salads, dolma and pita bread or a Mediterranean Combo plate ($7.95) which includes falafel, hummus, baba ghannouj, tabbouleh, dolmas, and cucumber salad. 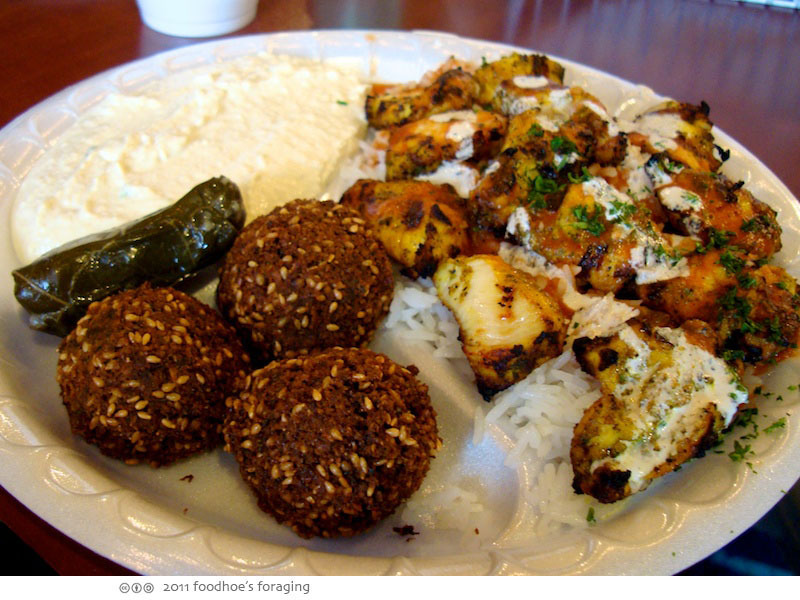 This is the Chicken Kabab Combo Platter ($10.95) served over rice, with sides of falafel and hummus. The chicken is drizzled with a savory tart yogurt sauce. 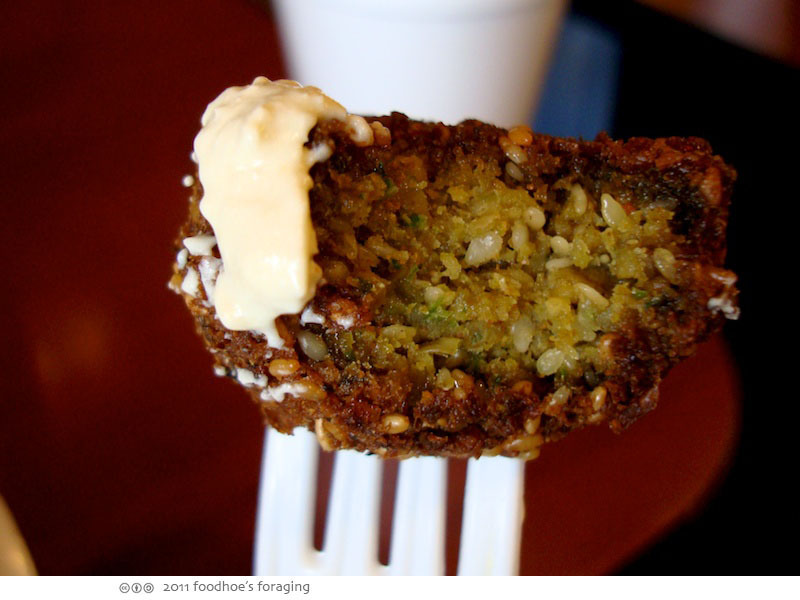 The falafels are always served fresh from the fryer, savory and full of nutty sesame seeds. They are addictively delicious and really good dunked into the hummus. This is the Chicken Kabab combo platter ($10.95) with garlicky babaghannouj, saffron rice with raisins. 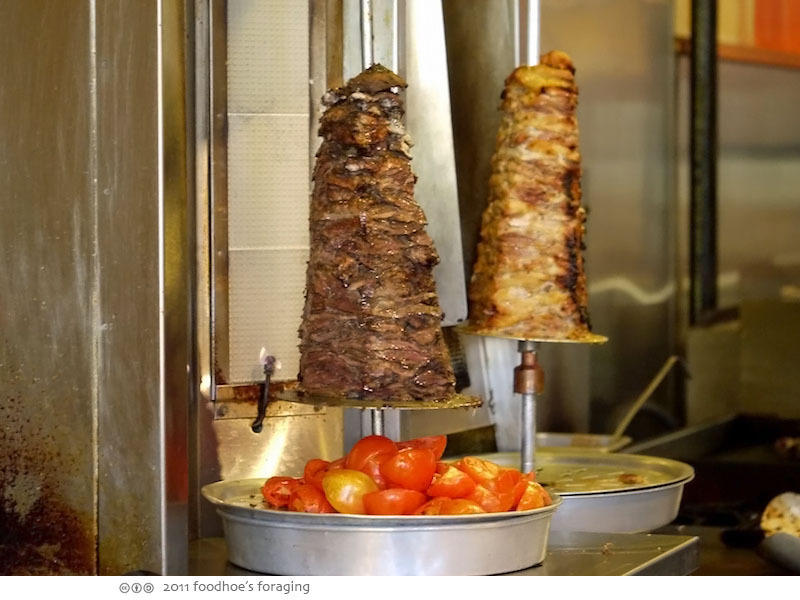 Behind the counter rotate two types of shawerma which drip onto wedges of tomatoes being simultaneously grilled and seasoned. These are the wraps I took a picture of when the cook went over to pick up freshly grilled chicken. 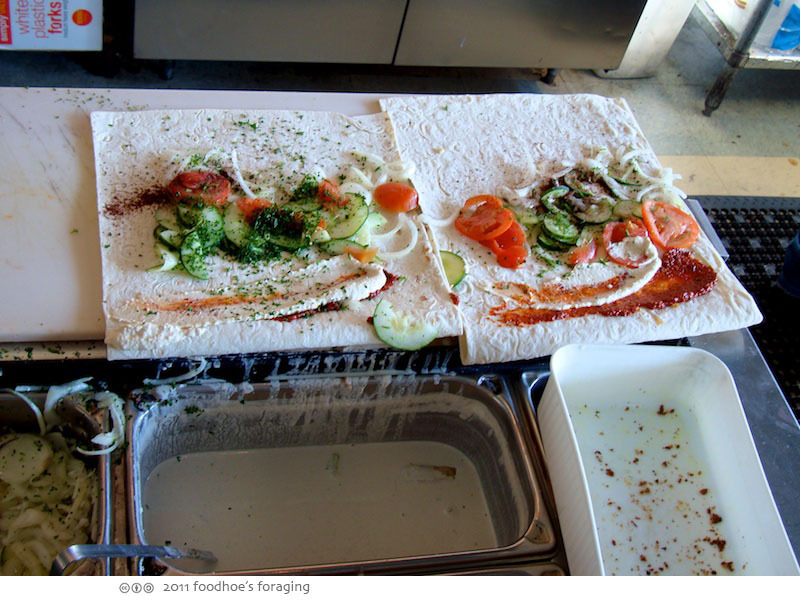 The wraps are made with thin sheets of Lavash flatbread smeared with tahini sauce, chili sauce if you want it, tomatoes, seasoned onions, parsley, and cucumber salad plus choice of grilled meat. The wraps are huge like a Mission style burrito but lighter and fresh with all of the vegetables, and very flavorful from the tahini, chili sauce and a drizzle of yogurt sauce too. 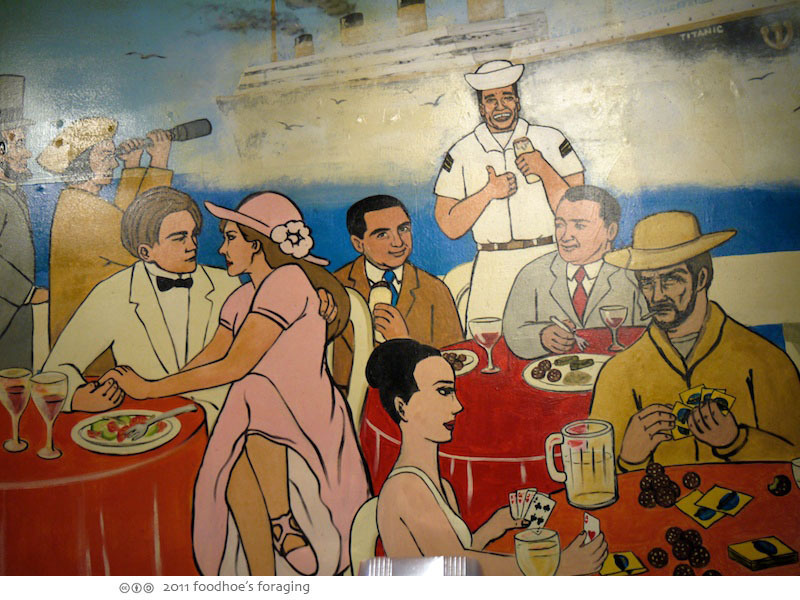 The murals are actually quite entertaining to look at, full of historical figures and celebrities. I see Abraham Lincoln, Columbus, Arnold, the couple from the Titanic, Clint Eastwood, and a few others that I don’t recognize. This is the rear wall from the Concord location, kind of silly but cute…. It’s a great spot for lunch, they make everything to order so you do have a bit of a wait for your food, but that’s why it’s good! Parking can be competitive, but there is a lot across the street where you can pay an hourly rate with your credit card, which is very convenient. 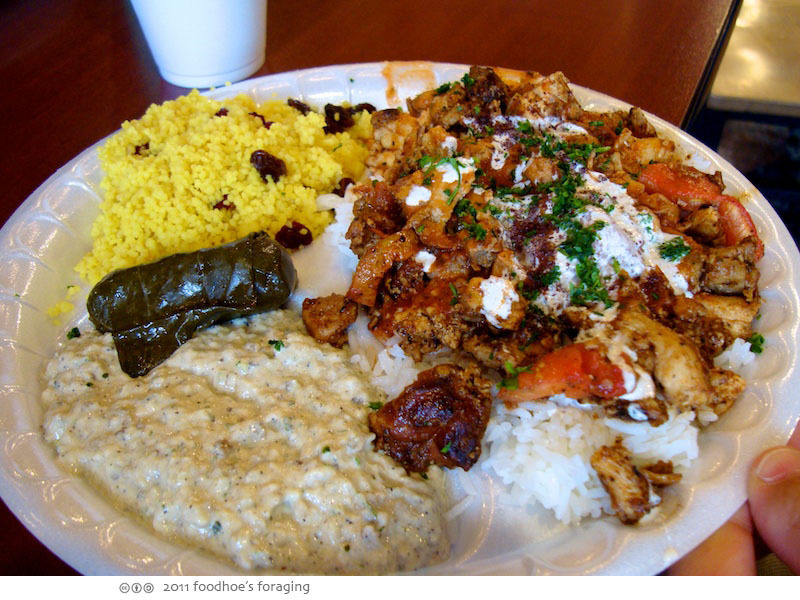 There are a couple of other mediterranean restaurants nearby, but this is just quick, easy and delicious. Oh, I’m drooling! That is totally my kind of food and place. Oh God! Of all the time! Why now? You made me hungry! 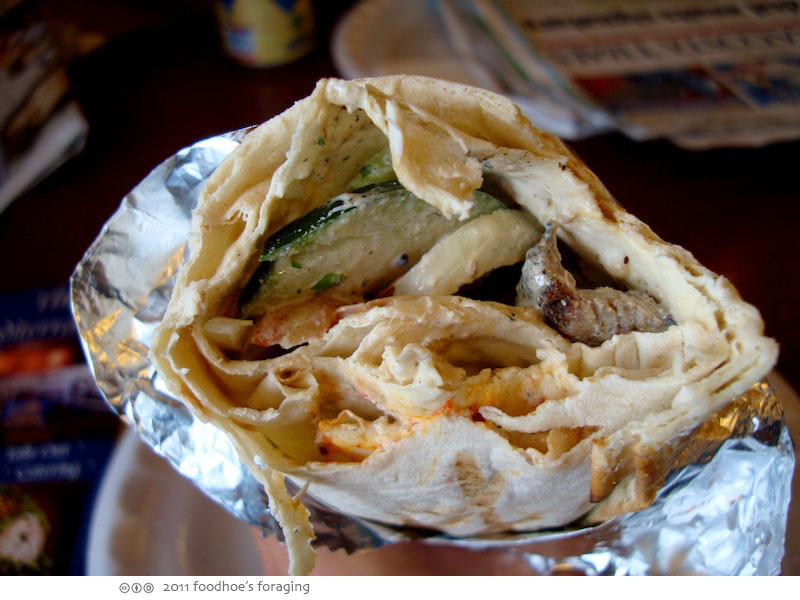 Shawerma, one of my favorite food is right in front of me and I can’t even hold it! Love it with lots of chili sauce! I absolutely LOVE Mediterranean food and can literally eat hummus by the spoonful! 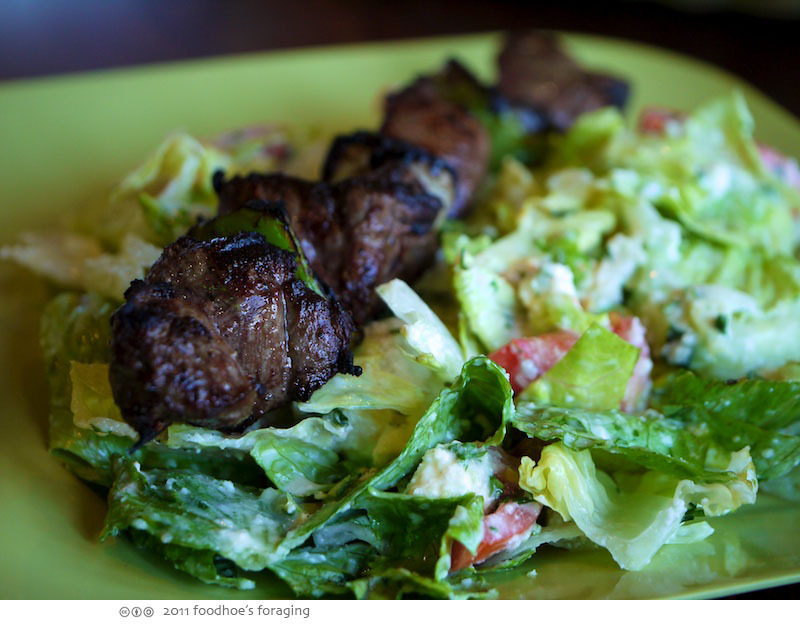 I probably would go for the lamb skewer salad. The platters seem like a lot for lunch, although I do like me some good hummus. 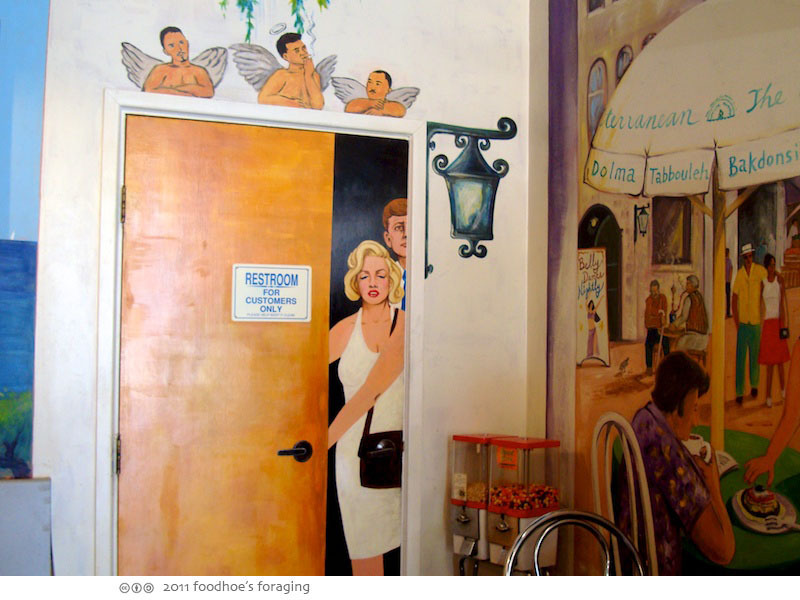 So who’s with Marilyn coming out of the bathroom? Even after death all these years people are trying to create rumors! Haha. 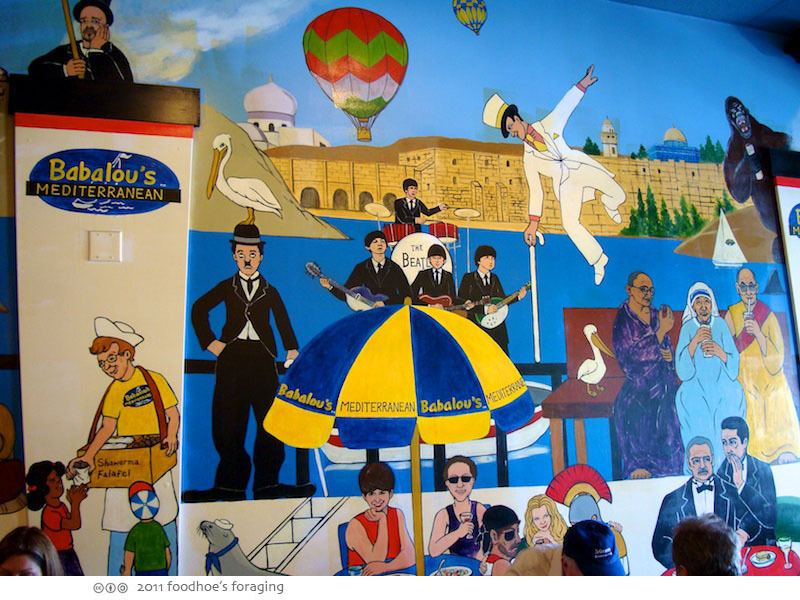 i love it when you hit up middle eastern restaurants–they’re my favorite. that falafel looks tremendous!